Jake Grech... in talks with Birkirkara. Birkirkara are closing in on the signing of Jake Grech from Ħamrun Spartans. Gaetano Debattista, the president of Ħamrun Spartans, confirmed to the Times of Malta that Birkirkara have launched a bid to sign the 19-year-old midfielder and negotiations between the two clubs are at an advanced stage and deal could be finalized today. “I can confirm that Birkirkara are showing strong interest in signing Jake Grech and talks are under way between the two clubs,” Debattista said. Birkirkara are keen to bolster their squad for the new season as they look to be among the protagonists for the major domestic honours following a rather disappointing campaign which saw them failing to challenge for the main honours last season. The acquisition of the Malta U-21 midfielder would be a great coup for the Stripes who are now under the guidance of new coach Peter Pullicino following the departure of Croatian Nikola Jaros. Sources have told Times of Malta that the Stripes are expected to include some players as part of the deal. 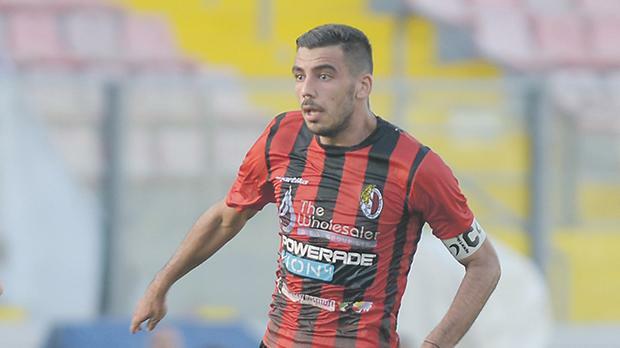 Defender Daniel Zerafa, who for the last two seasons was on loan with Tarxien Rainbows, is emerging as one of the players who is set to make the switch to Ħamrun Spartans and could re-unite with his former mentor Jacques Scerri who is now at the helm of the Spartans. Apart from Grech, the Stripes are also close to conclude a deal for midfielder Dale Camilleri from St Andrews. The 24-year-old enjoyed a very positive campaign with the Saints last season and his performances were rewarded by Malta coach Pietro Ghedin who gave him his debut in the 1-0 friendly win over Ukraine in Graz. He was also part of the squad that suffered a 2-0 defeat to Slovenia in a World Cup qualifier in Ljubljana. Elsewhere, Valletta have completed the signing of Joseph Zerafa from Birkirkara. The 29-year-old, whose contract with Birkirkara expired at the end of last season, had been in talks with the Citizens for the last few days. The transfer was finally concluded yesterday with the wingback putting pen to paper on a five-year contract. Zerafa is Valletta’s third signing this month following the arrival of goalkeeper Henry Bonello and striker Kyrian Nwoko.